Rough start to the day. My phone rang at 0700. Of course, it was on the desk. By the time I got to it, the call had gone to voice mail. The call was from Paula’s Mom across the hall. She wanted to tell us that she was ready for breakfast and she wanted to go with us to Denny’s. Argggh. That couldn’t wait until 0830? Ten minutes goes by and she knocks on the door. This time Paula answers. We’ll do breakfast at 0900. So we had a decent breakfast at the Denny’s next door. Mediocre, but better than the free breakfast at LaQuinta. Makes me long for the breakfast at either the Pacific Diner or the Gaffey Street Diner. Eggs were okay. Hash browns were right out of the freezer bag. Only two slices of bacon. Coffee was good though. Waiter kept filling it up. 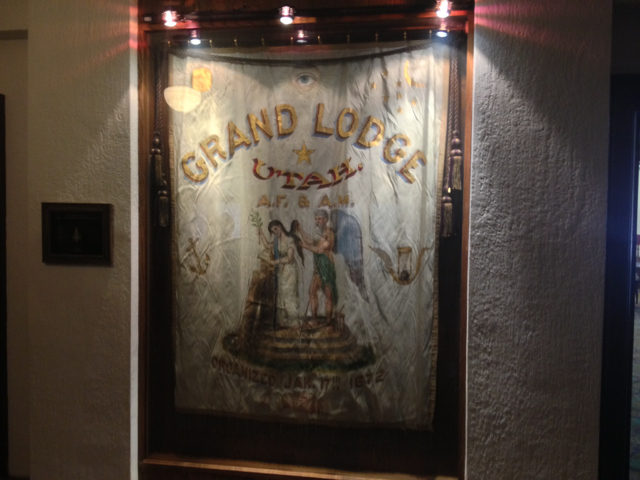 So off we go at 1000 to the Grand Lodge of Utah. Tours are supposed to be only on Fridays. But we managed to find someone who was probably board at doing his day job and wanted to do a tour. 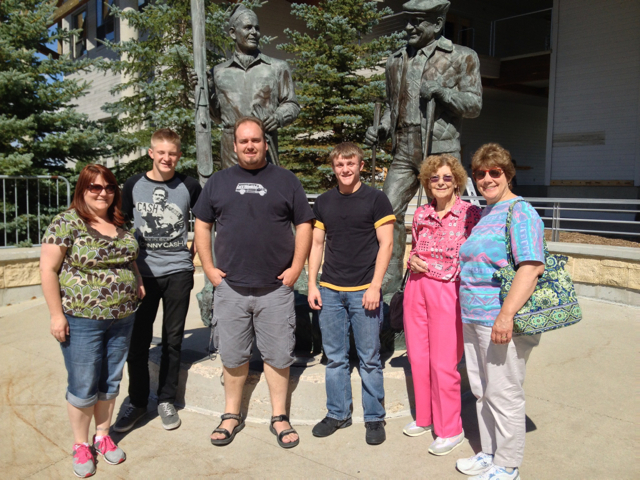 We joined a nice young couple from Idaho who wanted to visit. 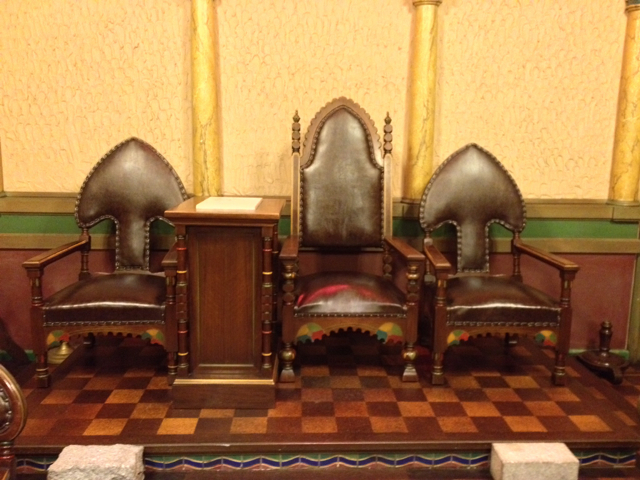 I will do a more complete post on the Grand Lodge this weekend when I have more time. 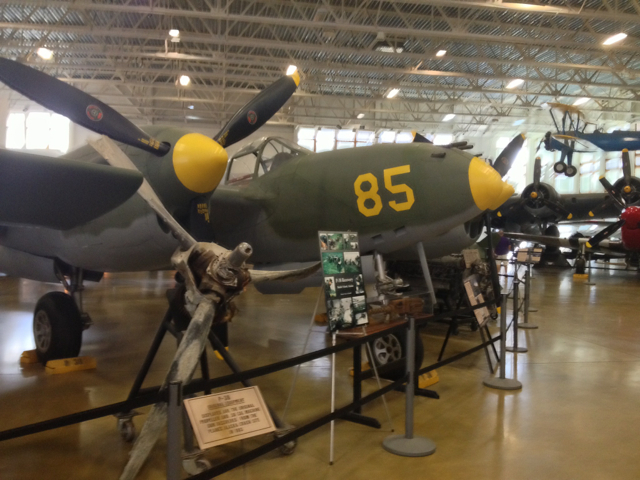 Here are a couple of pictures to whet your appetite. Quite a beautiful building. This brought us to noon. 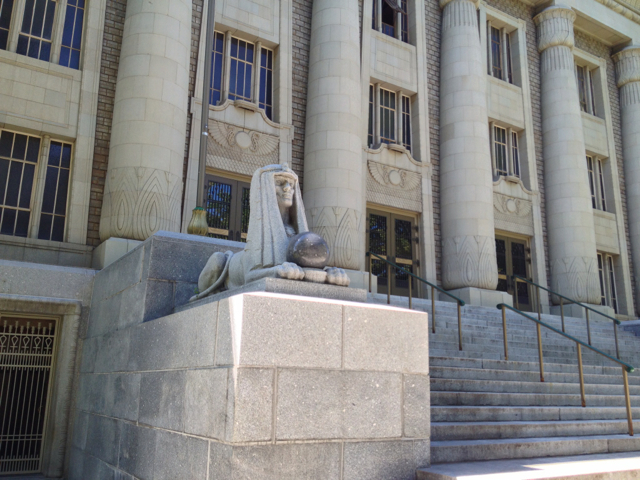 Mary K wanted to drive by the University of Utah. So we did. Then we started getting texts from Neil. So I said to Paula, I would stop for a few minutes. I just happened to pull in to a Starbucks. I have been told by Neil that SLC now has Dunkin Donuts. I didn’t fine one. So I checked my texts and answered then got an iced coffee from Starbucks and used their bathroom. Then we were off north to Hill AFB. Hill AFB is about 30 miles north of SLC. 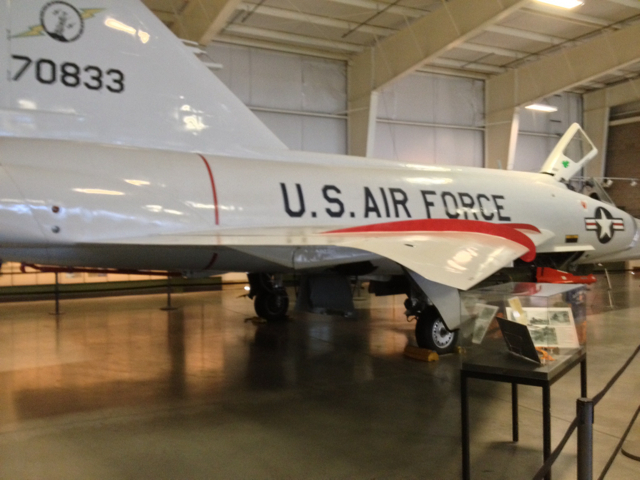 They have an excellent aerospace museum that is free admission. Once again, I will do a more complete post later. 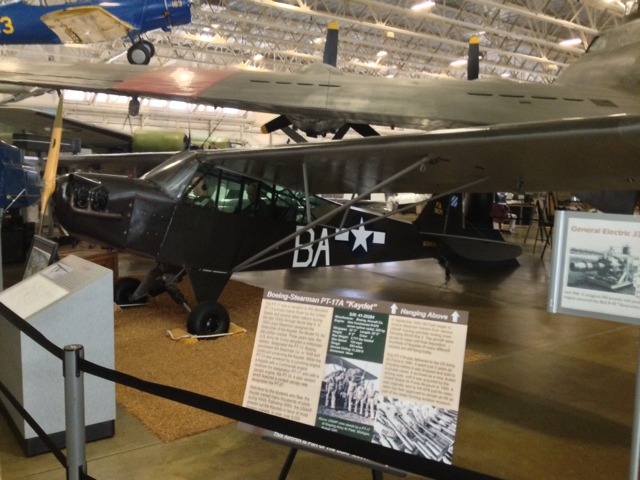 Wide variety of aircraft on display. Some inside, some outside. Left at 1600 headed for Neil’s place for dinner. Had hotdogs and burgers (or as my friend Vicky would call them “Wienies”). Tomorrow, we are headed home. South on I-15 to Nevada. Stop in Primm over night and then straight on to morning. Late start today. Neil is working nights and gets home about 8-9am. 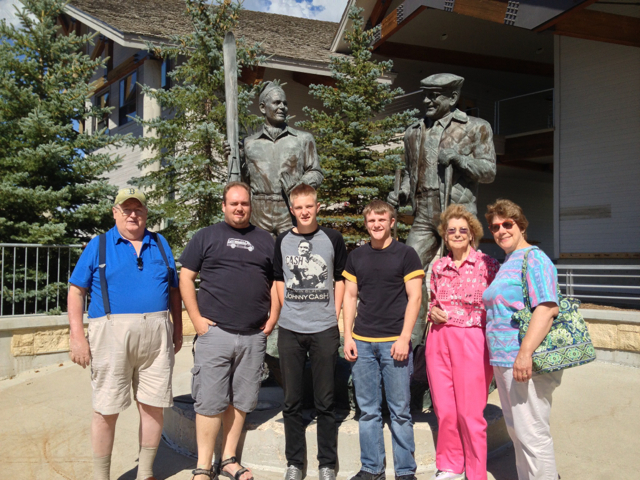 So Neil and the gang came over to our hotel around noon. We decided that lunch ought to be the first order of business. 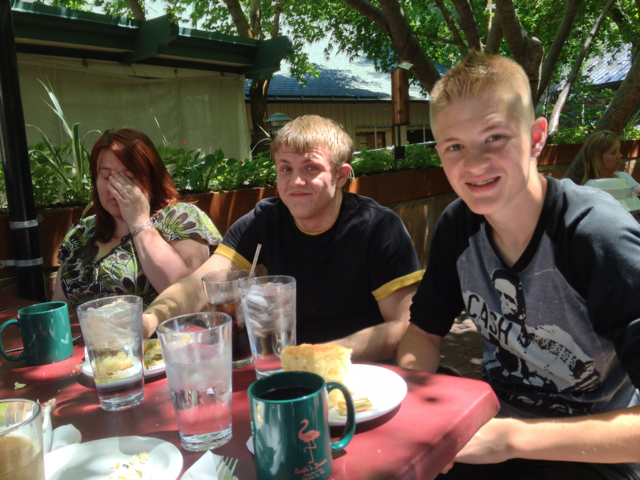 We decided to go to Ruth’s Diner up in Emigration Canyon. We first found out about Ruth’s Diner from the Diners, Drive-ins and Dives TV show on the Food Network. Also check out the free app on the iTunes Appstore. Excellent food. We had a table outside. Beautiful location. They have biscuits to die for. Next, we headed up the hill to Park City. 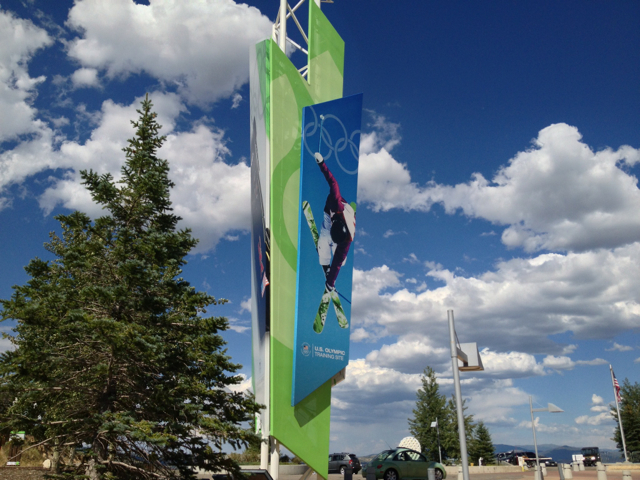 Park City is resort area. 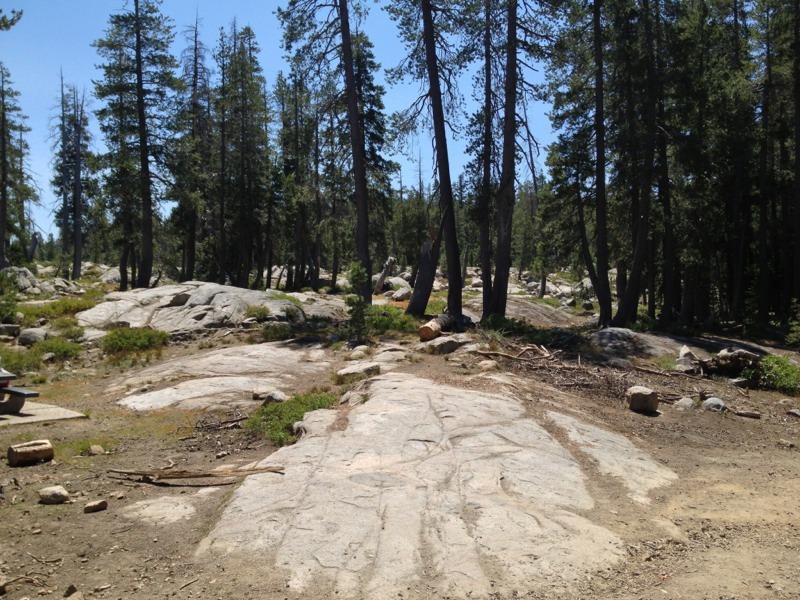 Skiing in the winter, camping, biking in the summer. Beautiful condos and real estate all around. None of which any one of us could afford. Paula, Mary and I watched some videos on the 2002 Olympics. 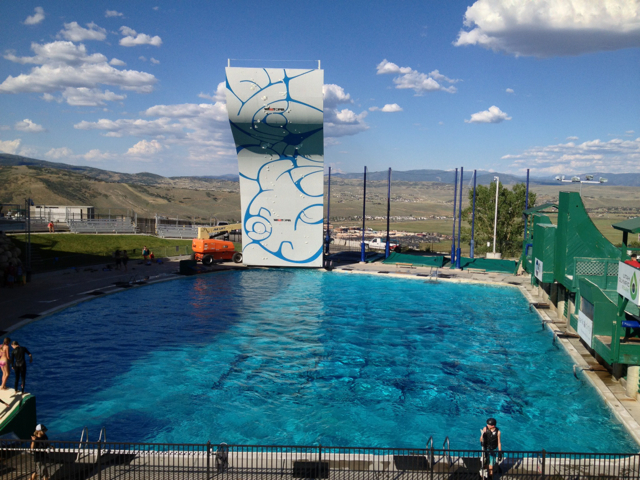 Then we went out to watch the kids practice ski jumping into the pool. The big structure in the back ground is a climbing wall. Lose your grip you fall into the pool. Here’s a video of one the more talented ski jumpers. Posting a little late today. iPad battery dead last night. Had to wait to get it charged. 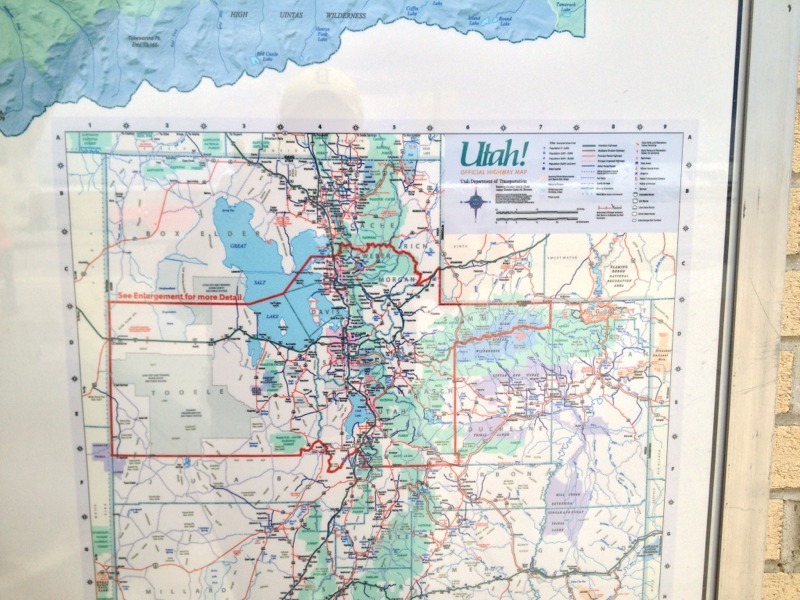 Yesterday we traveled from Elko, NV across the Nevada high dessert to Salt Lake City, UT. Long, straight road with desert as far as the eyes can see. At the NV-UT state line we start seeing salt flats. It looks somewhat like snow, but you know that it’s not. 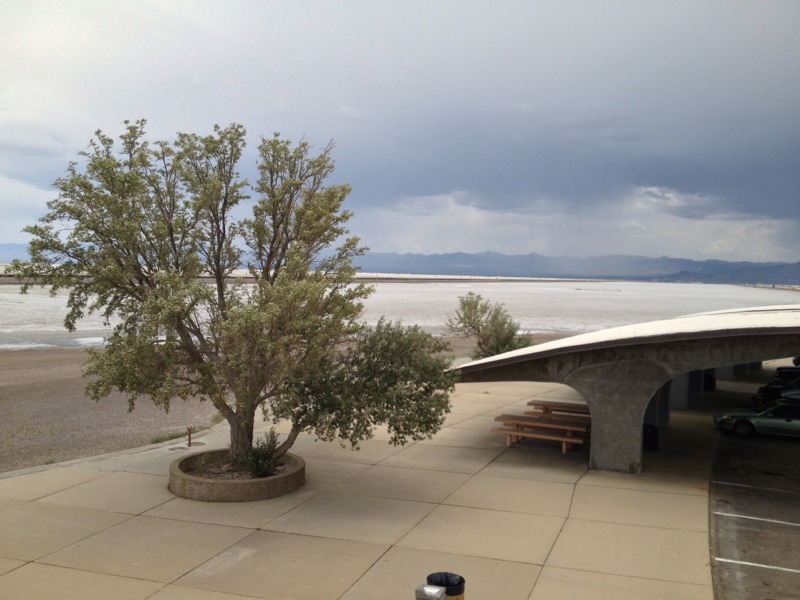 Here are a few pictures that I took at the rest area at Wendover, UT. 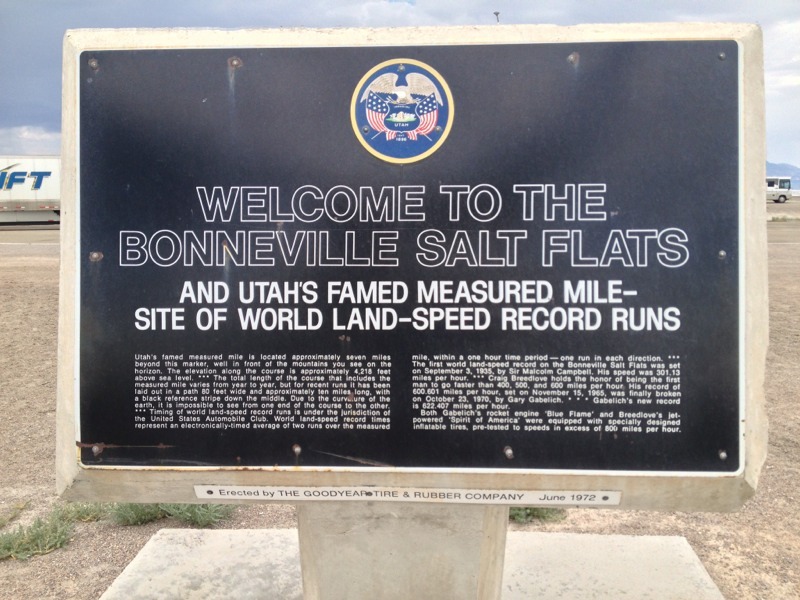 This is where the famous Bonneville Salt flats are located. We checked into our hotel and then did some grocery shopping for dinner. Then we met up with Mary K. and then left for Neil and Dawn’s house. We had a loverly steak dinner with Neil and his family. Drive on Monday was relatively short. We only did about 250 miles. So we arrived at 4pm which included change in time zone to MDT. Today we are off to visit Park City. Just a few more things to add that I forgot to write in yesterday’s post. We’re staying at a Best Western in Elko. Decent room but one problem. There’s no coffee maker. What is wrong with these people. I expect a few things in a hotel room. They are free wifi, tv, plugs for my ipad and iphone and a COFFEE POT. So this morning I had to walk down to the front desk to get two cups of coffee. What a PITA. We had a light dinner at a local restaurant last night. Actually it was a restaurant/casino/hotel. The one armed bandits are everywhere. you can’t seem to avoid them. And you have to walk through the casino part to get to the restaurant part. They encourage you to stop and drop a few quarters. The noise is truly annoying. But the food was good. We shared a salad and a small pizza. I had a martini, Paula had a gin & tonic. So we have about 250 miles to do today. We ought to arrive around 4pm including the time zone change (lose an hour). More desert today. Long straight hiway with 75 mph speed limit. I always struggle with spelling of the words desert and dessert. Spellcheck doesn’t help. So I will have dessert in the desert. I am way behind on my crossword puzzles. They are piling up in my crossword app inbox. We will find out how Mary K did on her flight from LAX to SLC. Big attaboys to Mike and Neil for doing the airport shuttle duties. Much to tell. Yesterday started with OES Reception for the Grand Organist. That was in Rancho Cordova (East of Sacramento), That lasted until 4pm. Then off to Chico for reception for Grand Ruth. Ninety miles up and ninety miles back, We got back to our hotel at 12:30am. 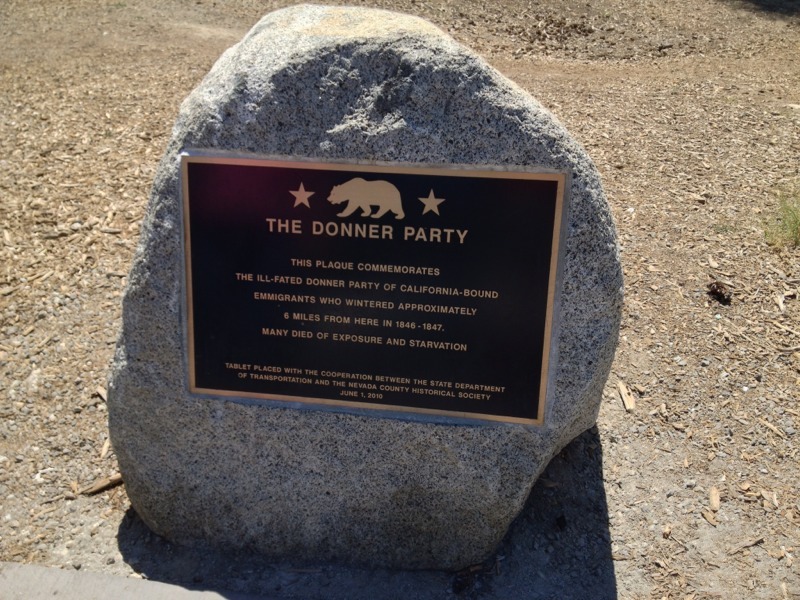 The Donner pass is named for the Donner Party who perished in November 1846 after getting snow bound by early winter storm. Read the Wiki entry for more detail than you ever needed. See link above. 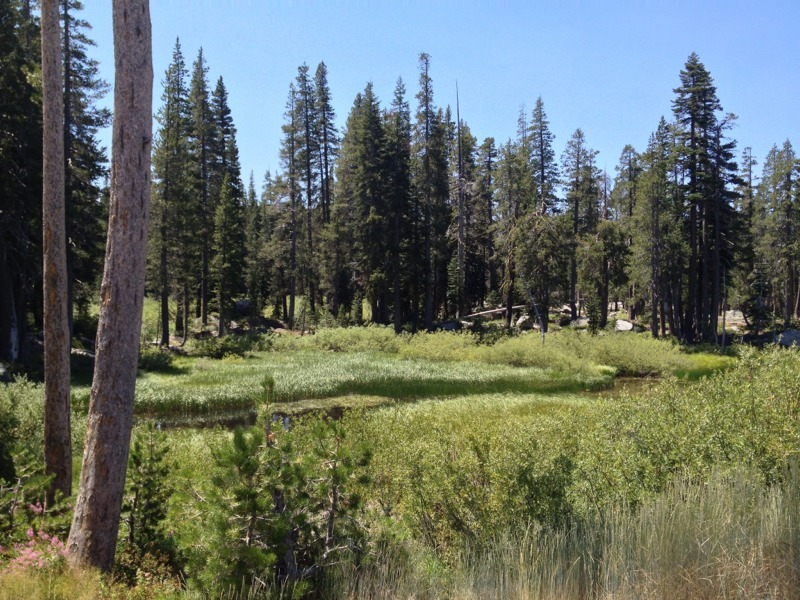 West side of the Sierras are verdant and the east side is arid. All of the moisture from the Pacific stays to the west of the Sierras. We stopped for lunch and then stopped at a rest area at Button Point in NV. Bathrooms were the worst we’ve seen in all of our travels. Took a a few pictures. Notice all of the green is gone. All you see is sand, salt flats, and sage brush. 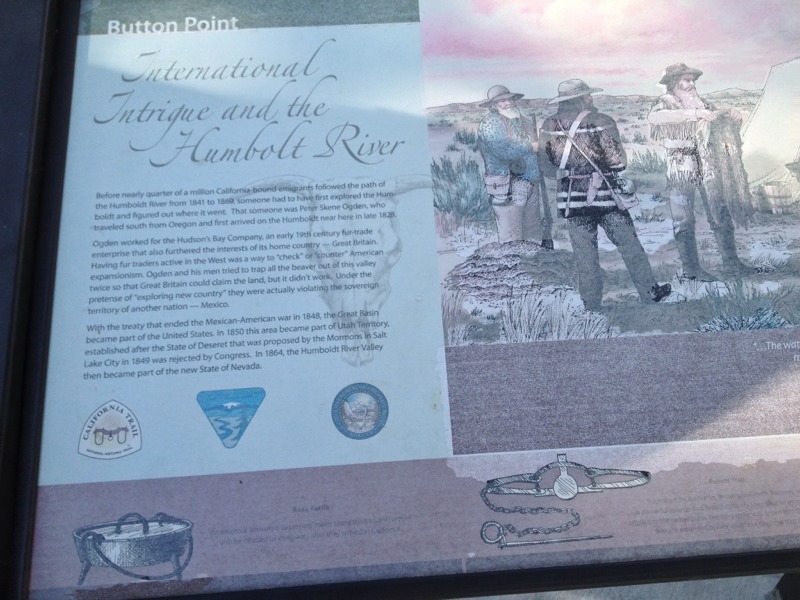 Button Point is part of the Humboldt River basin. Here’s the Wikipedia entry. 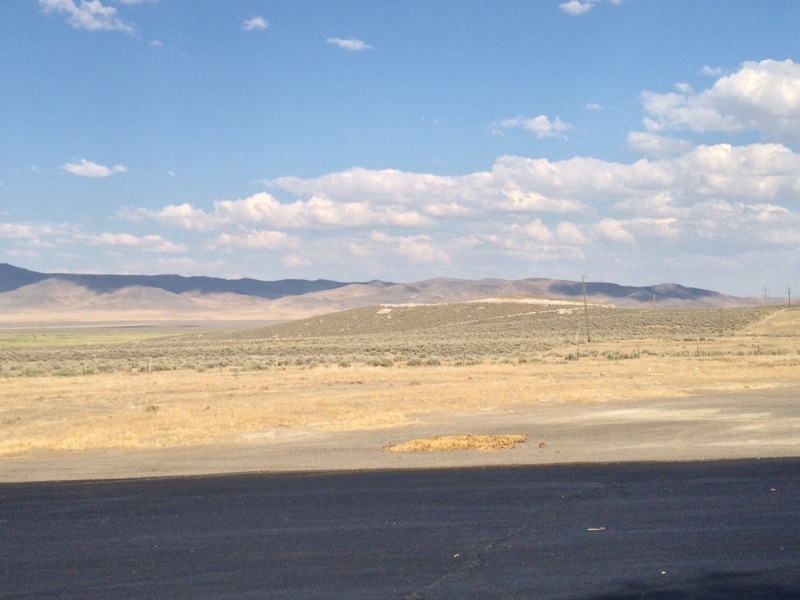 Finally after driving 435 miles today we arrived at our hotel in Elko, NV. By the way, Mary safely made it to LAX to fly to SLC. Mike took her to LAX and Neil picked her up. We will be in SLC tomorrow to visit with Neil and his family. Today we are up in the Sacramento area to visit friends and attend some OES receptions. Yesterday, we drove up north from LA on Interstate 5. Once we get through the Grapevine we get into California’s great Central Valley. Perhaps you remember a post I did a few months ago on the Grapevine. The Grapevine is the pass that goes through the Angeles National Forest. Once you get out of the Grapevine you see this great vista of farmland as far as the eye can see. 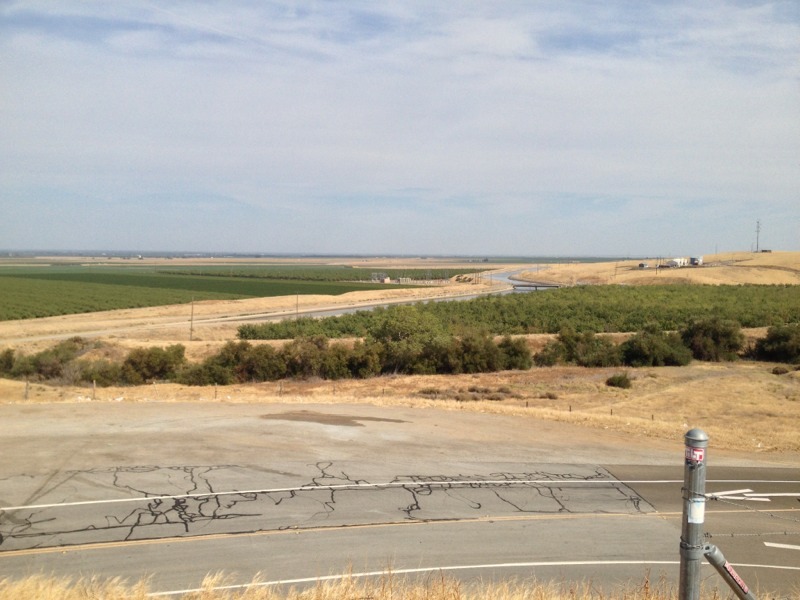 Here is a picture that I took from a vista turnout about 100 miles south of Stockton. The green is cultivated farmland, the brown is what the land looks like without water. 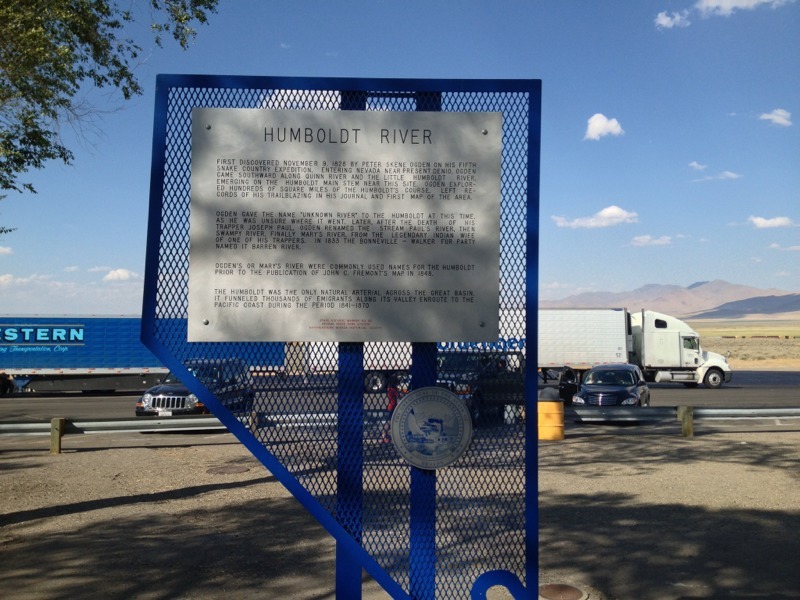 The water is provided by the California Aqueduct. I-5 is a long straight boring drive. Okay, enough about the Central Valley. Now for my California gripes. First is speed bumps. It seems that every shopping center lot is loaded with speed bumps. I know they are necessary to keep speed in check. Nevertheless, a PITA. Second, is four way stop signs. It seems to me that California is the land of four-way stops. They are everywhere. We visited Davis today. My lovely wife went to school at UC Davis. We visited with old friends and drove around campus. 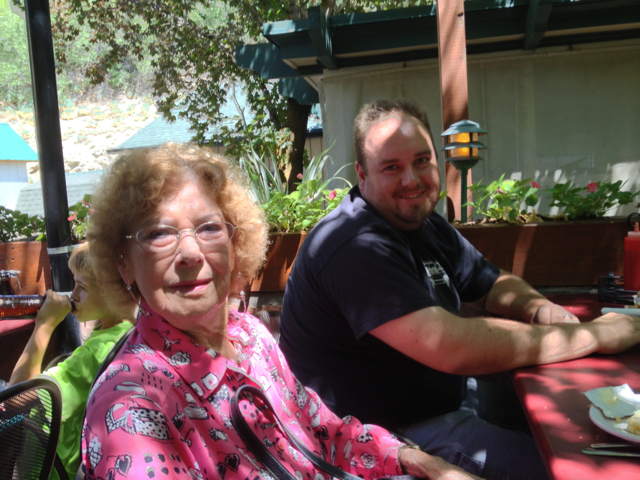 We had lunch at the “Burger & Brew“. I had a Jalapeño/Bacon Cheeseburger and a pint of Guiness. Very Tasty. In our family, Tuesday is generally family dinner night. Last night was no different. Our grandson Jonathan brought his parents over for dinner. 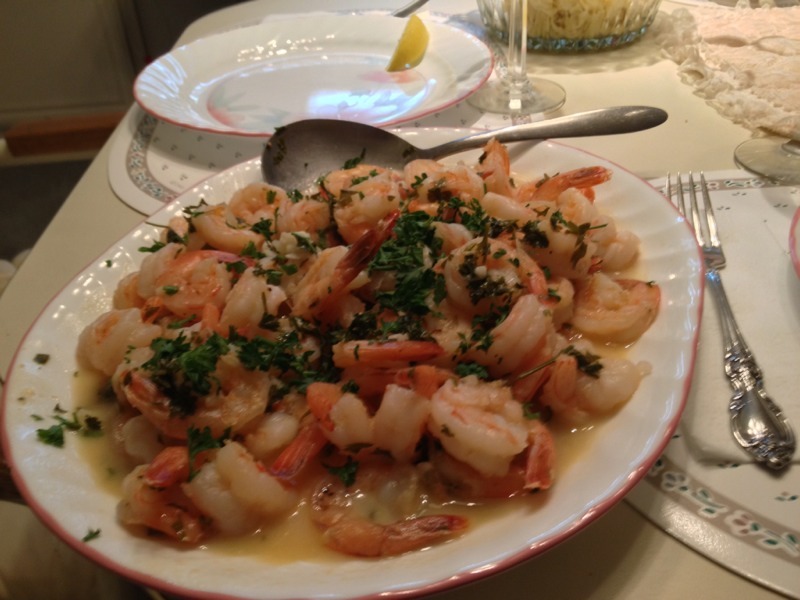 The main course was shrimp scampi over fettuccine. Here’s the recipe. Alas, Jonathan didn’t care for it so much. Not surprised. He preferred the appetizer of pretzel goldfish and peanuts. We thought it was pretty good though. So we eventually let him down from his high chair to play. Of course he came back when we got out the dessert. He enjoyed the ice cream (Cherry Garcia) and Girl Scout cookies. He got mad at us when we wouldn’t give him any more cookies.